Practical and simple to use, the Chicco Polly Easy Baby Highchair is suitable from 6 months until your child reaches 15kg (approx 3 years). 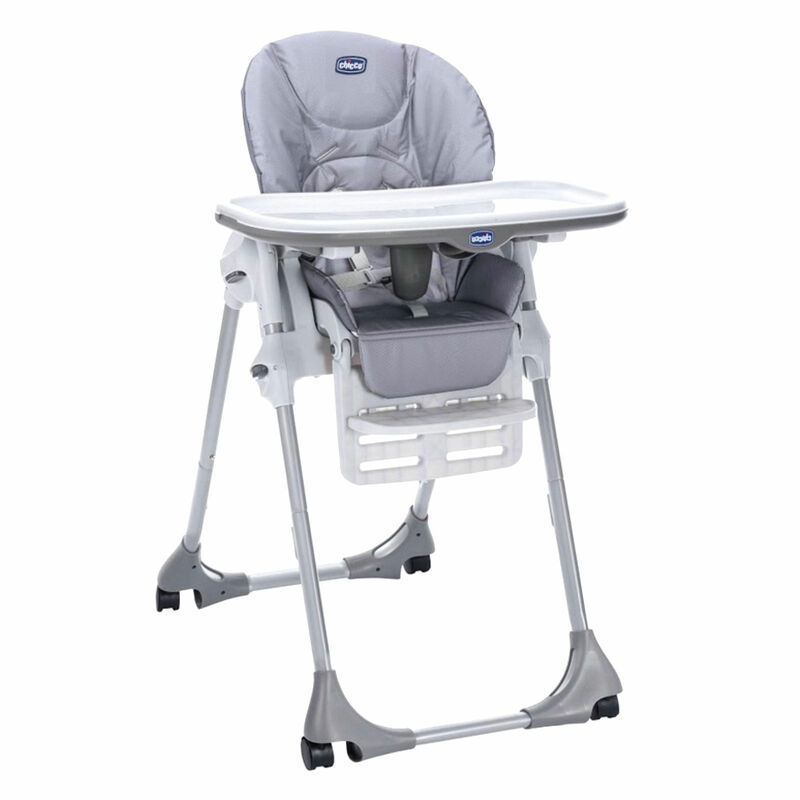 The high chair features a wide seat unit and 3 adjustable backrest positions. The baby highchair is comfortable for your child and is built on a strong, stable frame for safety. Incredibly easy to fold, the highchair reduces down to a compact and manageable size and is conveniently free-standing when folded. The adjustable height adapts to suit every table allowing baby to join in with the family at mealtimes and the high chair comes fully equipped with 4 wheels allowing for easy transportation from room to room.